Caption - DB BR43 2-10-0 043 574 is seen south of Leschede between Rheine and Emden with a train of empty hoppers. 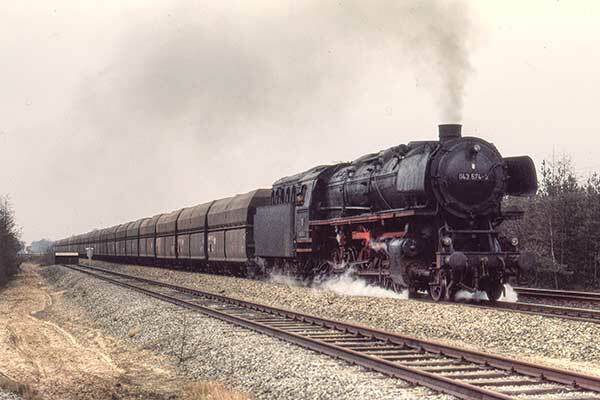 BR43 was the oil burning version of the BR44. However they were converted back to coal firing after the oil crisis in 1973. This visit was my first taste of European steam spending a long weekened on this route.